Dentist, Smile Designer, Confidence builder, Father to Olivia and Sophia and Husband to Nichole, Mountain Biker and Outdoor Enthusiast. Dr Libby is dedicated to the pursuit of creating the ideal patient experience in the dental office. Dentistry is emotional and requires trust from both doctor and patient that Dr Libby makes sure that the communication and trust is built before he helps his patients get the healthy smile they deserve. Having a great chair-side manner and knee to knee conversations with patients is the foundation of a positive experience. Utilizing cutting edge technology and progressive thinking, he aims to deliver the most functional, esthetic and long lasting dentistry possible for his patients. Dr Libby’s passions are Sedation Dentistry to a allow a restful treatment experience, Cosmetic Dentistry to restore people’s confidence in their smile, and Implant Dentistry to Restore Hope for people who have lost it after loosing teeth and not being able to eat. Dr Libby has made it possible for his patients under one roof, to have any work done that they need to stay healthy, pain-free, and happy. Dr. Libby was born and raised in Anchorage, Alaska. Having grown up in a unique environment of responsibility and the extremes, Dr Libby loves the art of life and what it can offer. He obtained his Bachelors of Arts degree in Business Administration from Walla Walla University and then continued his education at Loma Linda University School of Dentistry where he received his DDS degree. Dentistry is something needed all over the world and Dr Libby’s background is full of mission minded dental trips to places like Kenya, Fiji, Nicaragua, Peru, and Mexico. Using his talents, personable nature, and passion of spreading goodwill through dentistry is something that has been, and will continue to be a driving focus into the future. In his spare time, Dr Libby is the captain of a commercial salmon gillnetting boat in Bristol Bay Alaska and spends several weeks every summer harvesting gorgeous salmon from the ocean. Seeing the beauty of natural creation in nature inspires Dr Libby to apply the same characteristics to the art of dentistry. He also enjoys flying, racing bikes, skiing, kite-surfing, and camping. Having grown up in a unique environment of responsibility and the extremes, Dr Libby loves the art of life and what it can offer. Born and raised in Anchorage, Alaska, Dr. Libby honed his outdoor skills flying, racing bikes, skiing, kite-surfing, and camping. Dentistry is needed all over the world. Dr Libby’s background is full of mission minded dental trips to Kenya, Fiji, Nicaragua, Peru, and Mexico. Dr. Libby spends a few weeks every summer in Bristol Bay, Alaska in a commercial fishing boat that he shares with his brother. Dr. Landon Libby was born in Anchorage, Alaska into a family of dentists. Serving free dental care to the underserved abroad in Kenya, Fiji, Nicaragua, Peru, and Mexico. As a board member of the World Health Dental Organization, Dr. Libby, his parents and his brother enjoy finding new ways to serve communities who otherwise do not have access to good oral care. Dr. Libby has serves at the Maasai Clinic and is the current president of NASDAD, (National Association of Seventh Day Adventist Dentists). Have you asked your dentist about salmon season yet? Inseparable in dental school, Dr. Libby and his brother, Dr. Justin Libby, still enjoy a day out on the boat in their hometown. The two brothers both have a taste for adventure, and salmon! The two brothers enjoy catching up on the boat, running their commercial salmon fishing business. He also has deep roots in service. 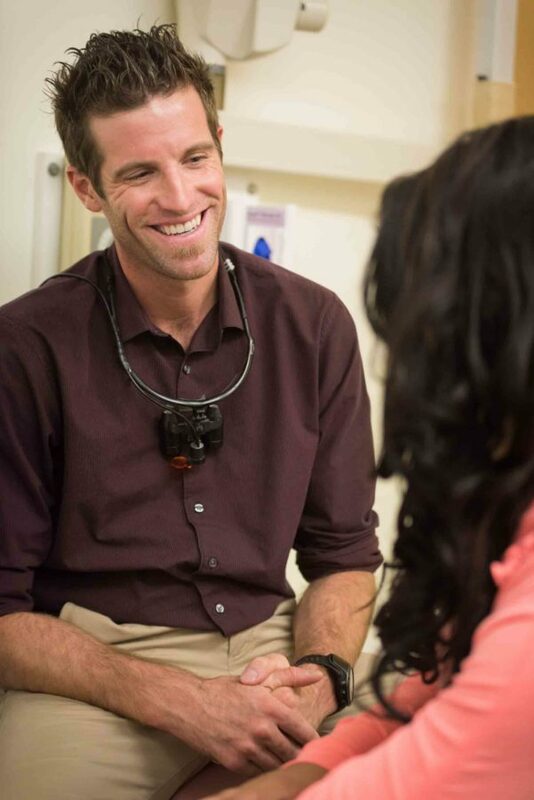 He volunteers at St. Leo’s Clinic in Solana Beach and speaks at San Diego State’s dental club to motivate students and get involved with their Flying Samaritans program. Currently, Dr. Libby serves as president of the National Association of Seventh Day Adventist Dentists (NASDAD) and sits on the board of the World Health Dental Organization Board of Directors (WHDO), where his father is President and his mother is Executive Director. WHDO is a nonprofit organization provides free dental care to the underserved in Kenya so that they may lead healthier and more satisfying lives.